The tweet must be retweeted by 7pm on Friday October 30th, and winner will be contacted via Twitter a short time later. The winner must be avaliable to be contacted on Friday, October 30th at around 7pm, and must be able to collect tickets at an agreed location on Saturday, October 31st. The winner will be contacted via twitter and agreements regarding location for collection of tickets will be done by phone. The tweet must be retweeted by 7pm on Thursday, August 20th, and winner will be contacted via Twitter a short time later. On Sundays, there is one train per hour from Glasgow to Alloa which departs at 15 minutes past the hour. Trains from Alloa to Glasgow depart at 14 minutes past the hour every hour on a Sunday. Car: Supporters parking is located adjacent to the stadium, as well as local parking services nearby the stadium. Supporters will not be able to park up on Clackmannan Road as supporters buses will be pulled here. Supporters Buses: Supporters Buses will be pulled on Clackmannan Road close to the stadium, and will be required to pick supporters up at this point again at full-time. There are a number of food and drink outlets close to the Indodrill Stadium. There is a McDonalds which is located adjacent to the stadium. There are also two supermarkets, ASDA and Morrisons, which are located within a five minute walk of the stadium – both on Clackmannan Road. A very good local pub is “The Old Brewery” which is a five minute walk from both the stadium and the rail station. All fans are asked to be in their seats at least 15 minutes before kick off. No alcohol will be permitted within the vicinity of the stadium. Any fan who appears intoxicated will be denied entry. No pyrotechnics will be allowed into the stadium. Any fan who is caught with them will have them removed. Any fan who sets off a pyrotechnic is subject to arrest. No bottles (except in some circumstances) will be permitted into the stadium. Supporters Buses may be searched upon arrival at the stadium. No alcohol is permitted upon any supporters bus. The tweet must be retweeted by 7pm on Friday, August 14th, and winner will be contacted via Twitter a short time later. Rangers Away Days caught up with new Rangers signing Jordan Thompson to discuss what it means for him to sign for Rangers, and what he hopes to achieve throughout his time at the club over the coming years. 1) How does it feel that you have now become a Rangers player? A: To be a Rangers player is an incredible feeling, growing up in Belfast its every kids dream to play for Rangers, therefore it’s very special for me. 2) What are your future career ambitions? A: My future goals are to make a name for myself at Rangers and to be part of this amazing journey were on to get the club back to where we belong. Also, I aim to be a full international player for my country – it would be a dream come true for me to be a full international for Northern Ireland! A: I would rate my youth career highly as I have a lot of time ahead of me still. Being at Manchester United for four years where I learnt a lot was a high. However, you could say that being let go at the end of the season was a low although it has worked out better for my career as now I’m playing 1st team football at the most successful club in the world. A: Rangers are huge and to be a part of this great club with a lot of history behind us and a bright future ahead of us is very exciting. The facilities are top class as you have access to everything you need. The staff have been amazing and are really easy to talk to about anything. They are always positive and are wanting me to learn every day to make the club bigger and better. 5) How did it feel making your Ibrox debut in the game versus Burnley? A: To play in front of 22,000 fans against a very good Burnley side was unbelievable. Growing up as a Rangers fan, to play at Ibrox knowing the history of the club and knowing the players who have played there in the past was magic. Honestly a dream come true for myself, my family and my friends. 6) Do you think the first team has what it takes to gain promotion? A: Without a doubt we have what it takes. We already have shown against Burnley and Hibernian the quality we have and have displayed our hard work ethic. We are a hungry group and want to learn every day to get better and better. 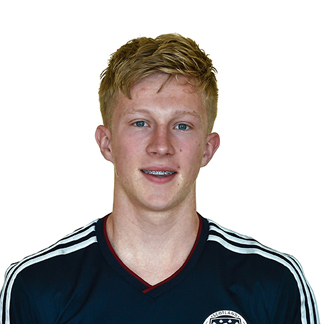 Rangers Away Days caught up with Rangers Youth player Ross McCrorie to discuss his time as a Rangers Youth player, and what he hopes to achieve throughout his time at the club over the coming years. 1) At what age did you first sign for Rangers, and how did it feel signing for such a large club? A: I first signed for Rangers when I was just nine years old after being on trial for a couple of months. It was one of the proudest moments of my life. The thought of signing for the team I had supported from day one was the best feeling ever. 2) What are you future career ambitions? A: I would like to eventually get into the first team and secure a starting place then hopefully be known as one of the best players at the club. I’d also like to win as many trophies as possible and represent my country by playing in the Scotland first team. A: Starting with the highs, last season was one of the best yet. I was playing for the U20’s most weeks whilst still only being an U17 and training with the first team a few times was a good experience. I was also made captain of my U17 team at Rangers and Scotland which was an absolute honour. This season is my first year at U20’s technically for my age but I’ve already played a lot of last season with them. I was selected as captain for the U20’s for this upcoming season which was an amazing feeling and I have already trained with the first team a few times which I hope to build on and impress the manager as much as possible. However, a low was being beat in two finals against Celtic in the Glasgow Cup and the Youth Cup which was really disappointing but I have to move on from that and take it as a learning experience. 4) Do you feel that you have a future at Rangers with regards to progressing to senior football? A: Of course I feel I have a future at the club. If I didn’t think that then I wouldn’t be playing for Rangers. It would be a dream come true if I could make it to the first team and play week in week out. A: Murray Park and Ibrox are one of the best facilities in Britain which really shows how big the club is. Using these facilities every day is fantastic as other teams do not have these facilities for everyday use. Ibrox is just exceptional as it shows the true class of Rangers Football Club. A: If I’m being honest it just feels normal. I don’t really think about it that much but people are usually surprised seeing twins in the same team. I suppose we are really lucky to be playing alongside each other as we know each other so well which helps us in our games. 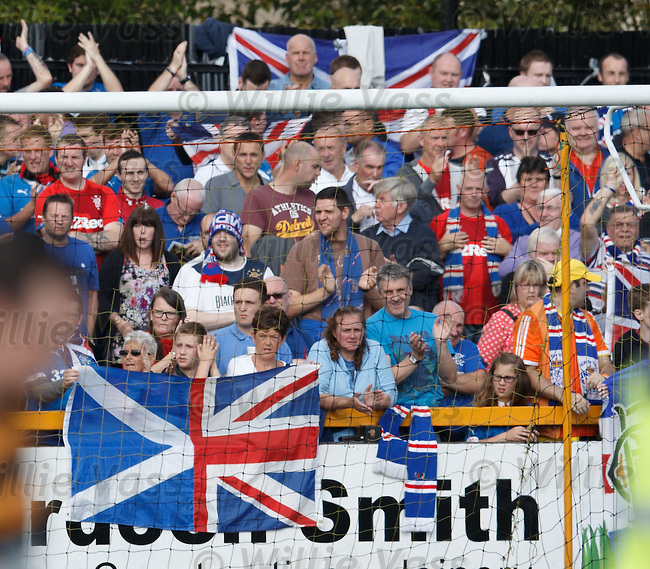 7) What has been your favourite highlight of your Rangers career so far? A: My favourite highlight was signing my professional full-time contract with the club as it’s the one club I want to succeed the most and has been the team I have supported since I was born. 8) Do you think the first team has what it takes to gain promotion this year? A: Yes I do. After the result against Hibs at the weekend it sets a statement of intent to all the other clubs that we mean business this season and will do anything to win. 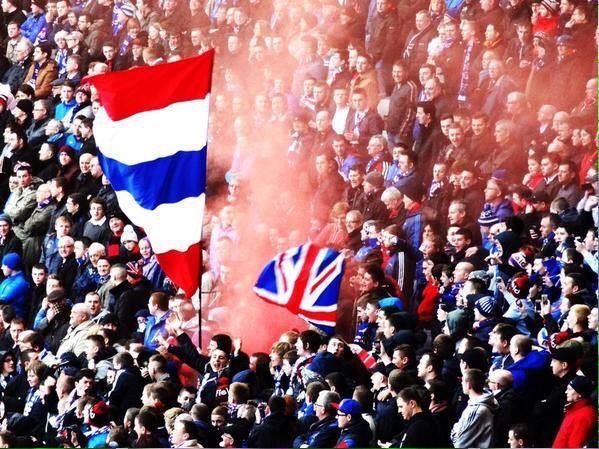 This year, Rangers Away Days needs your help in order for us to continue to provide our fans with images of the crowds at away games, as well as images of fans’ journey to the game and their views of the match. We’re calling on your help. If you are heading to an away fixture this season, we need you to send us your photos of your journey, your view, and the crowd at the fixture. You can send us these images on Twitter by tweeting us @RFCAwayDays and using the hashtag #RFCAwayDays. Each fan who sends in a picture will be entered into a “Photo of the Month” competition, where the winner will receive 2 tickets for an away fixture of their choice* this season. The competition will officially start at the game V Hibernian on the 25th July, and photos from this game will enter the August competition. Get sending us your pictures to help promote the positive atmosphere within the Rangers family at away fixtures, and for the opportunity to win tickets to away matches! Good luck! * – Some matches (such as those against Hibernian, Hearts and St Mirren) may be unavailable due to demand.